ISABELA, Puerto Rico — The northwest part of Puerto Rico is in a state of crippling confusion as a lack of phone service bogs down relief efforts and slows down evacuations. Engineers are assessing whether the Guajataca Dam will fail after Hurricane Maria dumped 15 inches of rain on the area, swelling a man-made lake. 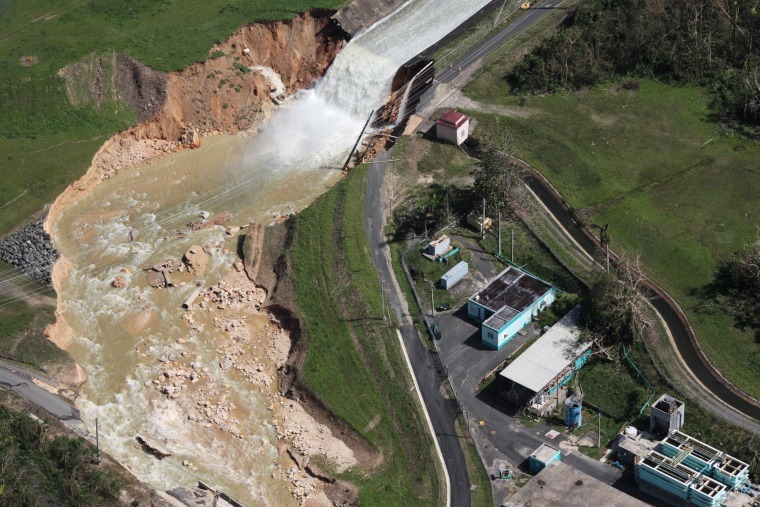 But there was a lack of basic information about the potentially catastrophic breach, which was said to affect the towns of Isabela, Quebradillas and San Sebastian. At first, authorities — including the governor’s office — had said up to 70,000 people could be affected. But local officials said the number of evacuated was much smaller. In Isabella, the mayor's office said a little more than 200 people were in shelters. Still, evacuations continued Saturday. One woman in the southern fringe of Isabella told NBC News she had frantically evacuated when police told her she needed to leave immediately. She was told she’d need to spend at least 72 hours in a local shelter. As of 1:55 p.m. Saturday, the weather service said "dam operators continued to report the threat of a failure of the Guajataca Dam, potentially causing life-threatening flash flooding downstream on Rio Guajataca." "We were able to directly observe the damages of the Guajataca dam," Gov. 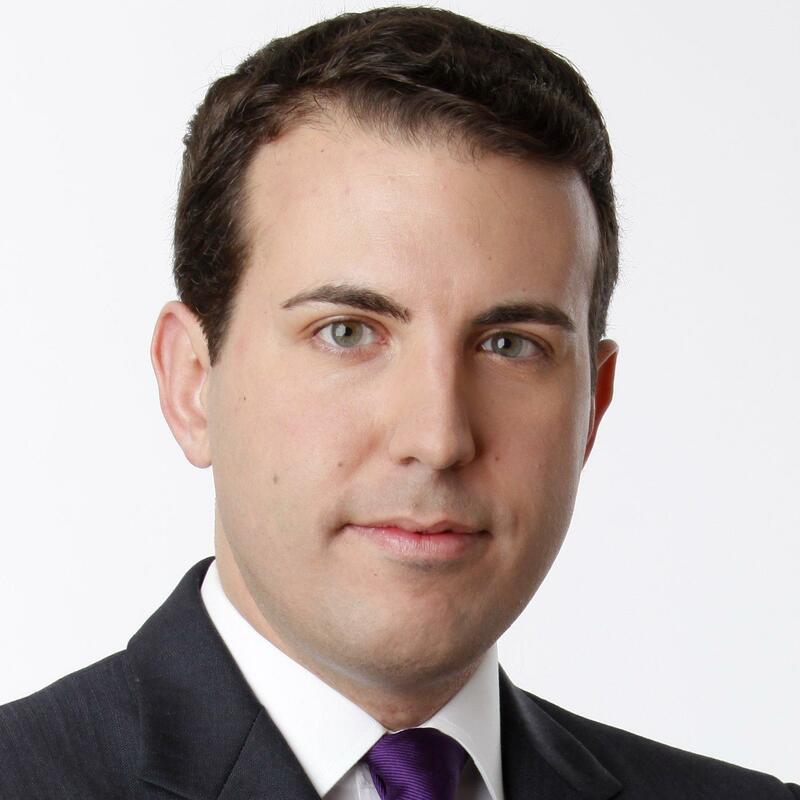 Ricardo Rossello said on Twitter Saturday. "We re-affirm the evacuation order for the area." David Castro's family has been listening to a spotty AM radio station, their only way to hear news outside of their neighborhood. On Friday, they heard from their neighbors that the Guajataca Dam might collapse and that everyone needed to evacuate. "We hear a lot of commotion and everybody’s running," Castro said. "But there's no communication. We didn’t know where to go." Officials said 1,360 of the island's 1,600 cellphone towers were downed, and 85 percent of above-ground and underground phone and internet cables were knocked out. Patience is starting to wear thin. On Saturday, there were massive lines at banks and gas stations in the region. Jose Lopez sat in his car hour waiting for fuel — or even the promise of it since the pumps were empty. Flash flood warnings were in place Saturday for Isabella and Quebradillas, the weather service said. The dam, which was built in 1929, is used for public water and irrigation water supply, and the reservoir has a water storage capacity of 11 billion gallons. Closer to San Juan, people lined the side of the main freeway, hoping to pick up even one bar of cell phone service. Hurricane Maria, the strongest storm to hit Puerto Rico since 1928, had maximum sustained winds of 155 mph when it made landfall as a Category 4 storm on Thursday. At least 10 people have been confirmed dead in Puerto Rico after Hurricane Maria hit the island, Puerto Rico's governor's office said Saturday. Puerto Rico has lost power, and the governor's office said that so far only around a quarter of the island has water service. Some airports began reopening, officials said, but service was limited. The company that operates Luis Muñoz Marín International Airport near San Juan said it was only operating 10 commercial flights a day. Meals and water were being delivered to the island, a Federal Emergency Management Agency official said. "This is going to be a long and frustrating process for everybody. There is tremendous damage on the island," William Booher, director of public affairs for FEMA, told the Associated Press. The storm is also blamed in 15 deaths in the Caribbean nation of Dominica and one death on Guadeloupe, officials have said.